An earlier entry on my blog looked at the acronym of PERMA. To read the blog you can click below. The R stands for relationships. Relationships is an important element of wellbeing. Today I have been thinking about relationships and what they mean in life. Then I came across the following in my reading. “Relationships, not achievements or the acquisition of things, are what matters most in life. So why do we allow our relationships to get the short end of the stick? When our schedules become overloaded, we start skimming relationally, cutting back on giving the time, energy and attention that loving relationships require. To start off I pondered about family and friends and how busyness in particular effects that. This week at one stage my 8 year old was talking to me as my mind was working out what needed to happen next and he actually stopped talking, touched me and said ‘Mum you are not listening’! Next, I thought about the classroom and how the busyness of curriculum, timetabling, and the sheer number of students effects the time we have to spend talking, loving and being there for the kids in that relational way. I am feeling challenged, are you? Nice blog mum. 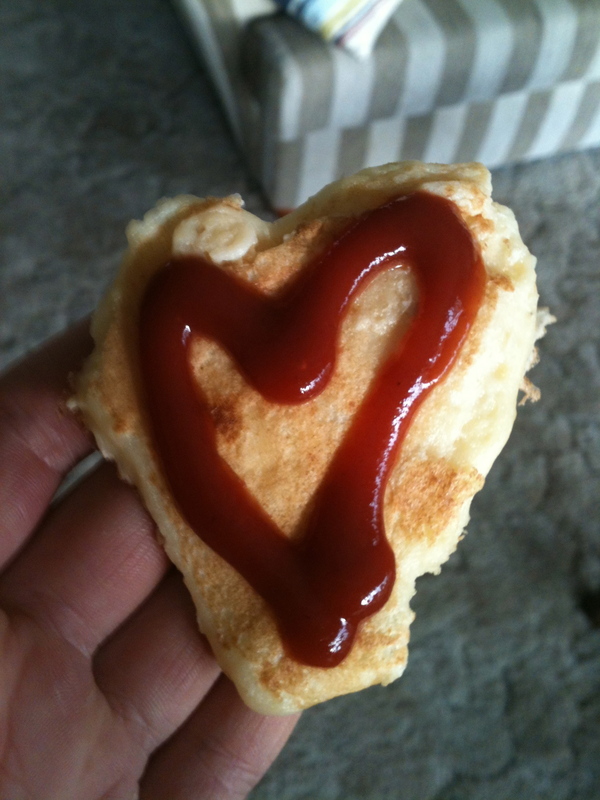 I like the picture of a love heart on the potato pattie. Relation ships and love is important. Especially when I got swooped buy a magpie on the way home from tennis. you were so brave, and I am so glad that you knew that it was ok, and that you would get a big hug when you got home! Mmm distractions and interuptions, now there’s a whole topic in itself!